Department of Agriculture & Farmers Welfare Agriculture Assistant Recruitment 2018 2019 | Department of Agriculture & Farmers Welfare invites Application for the post of 50 Agriculture Assistant Posts. 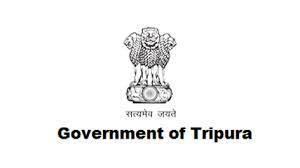 Aspirants Download Application Form through Official website www.agri.tripura.gov.in | Opening Date and time for Submission of Application is 25.09.2018 and end up by 06.10.2018. You can check here Department of Agriculture & Farmers Welfare Recruitment Eligibility Criteria, Pay Scale, Application Fee/Exam Fee, Department of Agriculture & Farmers Welfare Selection Process, How to Apply, Department of Agriculture & Farmers Welfare Syllabus, Department of Agriculture & Farmers Welfare Question Paper, Department of Agriculture & Farmers Welfare Admit Date Release Date, Department of Agriculture & Farmers Welfare Exam Date, Department of Agriculture & Farmers Welfare Result Release Date & other rules are given below.. Aspirants are requested to go through the latest Department of Agriculture & Farmers Welfare job recruitment 2018 fully, before applying to this job. As per the recent Department of Agriculture & Farmers Welfare notification 2018, the eligibility details like Educational Qualification & Age Limit for the Agriculture Assistant job has given below. Department of Agriculture & Farmers Welfare may follow the following process to select the candidates. How to apply Department of Agriculture & Farmers Welfare Agriculture Assistant Vacancy? Office of the Dy. Director of Agriculture (Dhalai), Jawharnagar, Ambassa.